Sam van Zweden is a Melbourne-based freelance writer. Sam was the recipient of a Wheeler Centre Hot Desk Fellowship in 2015, and a Melbourne City of Literature Travel Fund grant. In 2016 she was a writer in residence at the RMIT Urban Writing House. She reviews books for The Big Issue, and has interned for the Emerging Writers’ Festival 2012 and Melbourne Writers Festival 2013. She has been marketing coordinator and social media intern for Kill Your Darlings. She was an official Emerging Blogger for the Melbourne Writers’ Festival in 2012, and a blogging partner of Overload Poetry Festival in 2010 and 2011. Sam has appeared at the Melbourne Writers Festival, NonfictioNOW, National Young Writers Festival, the Digital Writers’ Festival, Noted, the Emerging Writers’ Festival, RMIT’s Present Tense talks, and The Wheeler Centre. She completed her Honours year at RMIT in 2014, writing about food and memory. 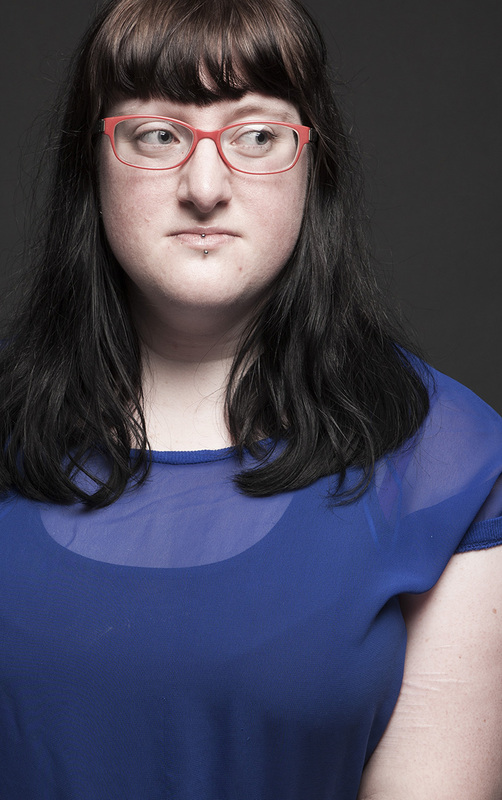 Her creative nonfiction work-in-progress, Eating With My Mouth Open, was shortlisted for the 2015 Scribe Nonfiction Prize for Young Writers, and her essay ‘But still…’ was shortlisted for the 2016 Lifted Brow & non/fictionLab Experimental Non-fiction Prize and the 2017 Lord Mayor’s Creative Writing Awards. She was Online Editor for Writers Bloc 2013-2015. I admire your blog, and your passion for writting. why thankyou! Always like to know I have someone coming back for more! Hi, Sam, and thank you… A lot of interesting posts here, and your evident spark for the matter you write about makes reading them a pleasure. I’ll certainly be stopping by again. Glad you’ve been coming back; always nice to have return customers! Hey! I emailed you a while ago, but I never heard back! Are you well? Hi Sam, I have been wondering how you manage to blog so often amoungst all the other day-to-day tasks? Could not find an email address on here for you. Would you be able to drop me an email at bronwyn.gds@gmail.com when you get a chance? Love your blog and title! I actually found it searching for writer’s tattoos… and the fountain pen image on one of your posts is absolutely perfect! How did you get published in so many things?! Hi Jennifermarie – thanks for the kind words. As for publication… It’s been a lot about persistence. I got many rejection letters before being published, and they’re still rolling in. I don’t let that stop me. Also, Melbourne’s an amazing place to live in terms of getting published. As a UNESCO City of Literature we have endless opportunities here. Hope to hear more of you on here, I’m about to go check out your blog now. I figured you had the tattoo customized after all my searching for the image! I tried looking for it everywhere… I was actually trying to create my own version of the tattoo and include my initials in the design that went around the fountain pen. I admire you for your persistence. I know rejection letters aren’t the greatest to receive, but persistence is a good thing! Thanks so much! I’ve just checked out your blog too, looking forward to keeping up with your future posts! Do come to Melbourne, it’s pretty fantastic. I’m checking out your website after loving your article ‘What I’m reading’ over on Meanjin. Your thoughts on home and travel really resonated as i’m trying my hand at an essay for my masters on home and belonging. Thanks for the kind words, Zohra – good luck with your essay!